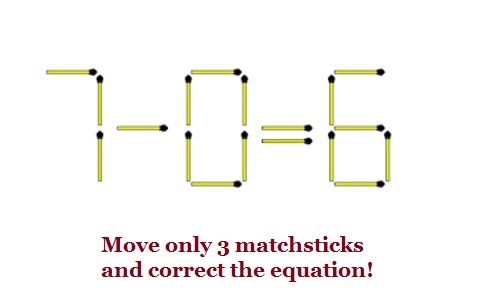 Can you make the below shown matchsticks equation true by moving exactly three matchsticks? Solve this WhatsApp puzzle if you are a genius! Make the second number 2 and third number 9. If we do so, 1 matchstick will be extra, put that over the minus (-) symbol to make it plus (+).